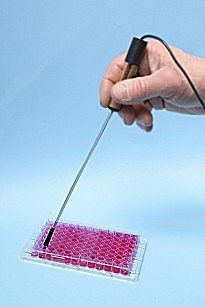 The Lazar Ultra-M micro pH electrode is so commonly used by research centers worldwide that it has become the industry standard for measuring pH in small samples. Not only does it measure down to 1/5 of a drop, but its solid-state body makes it virtually unbreakable. Purchase our micro pH electrode by itself or as a complete ArrowLabb(TM) micro pH measurement system. The complete system includes everything you need to measure, log and graph all in one. 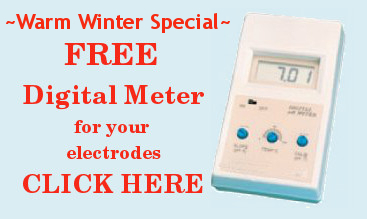 System includes micro pH electrode, advanced digital meter plus our exclusive logging and plotting software and more. Full details on pH measurement systems. Description: Micro pH electrode with solid state sensor for measuring samples down to 10 microliters of sample. Flexible fluoropolymer stem is guaranteed against breakage for the life the electrode. Applications: Any samples with volumes between 10 to 800 microliters. 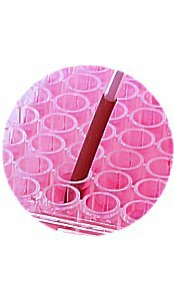 Use in microtiter plates, microcentrifuge tubes, NMR tubes, micro test tubes, isoelectric focusing gels. This electrode is also available with an extra long stem especially for measuring pH in NMR tubes. Enjoy the same accuracy as our standard micro pH electrode especially designed for NMR tubes. Measure, graph & table all in one system. For specific questions or to receive printed literature, send your request by email to slby800@163.com or call us at 400-650-8506.